24-hour forecast: Sunny with isolated showers or thunderstorms, except over inland and southern areas where slightly more will develop. Cloudy tonight with a few showers and isolated thunderstorms over most areas. General Outlook: A few showers and isolated thunderstorms will affect inland and southern areas on Monday, becoming isolated Monday night. Today S-SE 5-10 kts Light Chop 2-4 ft GENERALLY ISOLATED SHOWERS OR THUNDERSTORMS. Tonight S-SE 5-10 kts Light Chop 2-4 ft A FEW SHOWERS AND ISOLATED THUNDERSTORMS. Tomorrow S-SE 5-10 kts Light Chop 2-4 ft GENERALLY ISOLATED SHOWERS OR THUNDERSTORMS. Outlook E-SE 5-15 kts Light Chop 2-4 ft ISOLATED SHOWERS OR THUNDERSTORMS. The center of Subtropical Storm Alberto, at 27/1200 UTC, is near 26.3N 84.4W, or about 195 km WSW of the Dry Tortugas, and about 645 km S of Apalachicola Florida. The estimated minimum central pressure is 997 mb. The maximum sustained wind speeds are 40 knots with gusts to 50 knots. It is moving N, 13 knots. 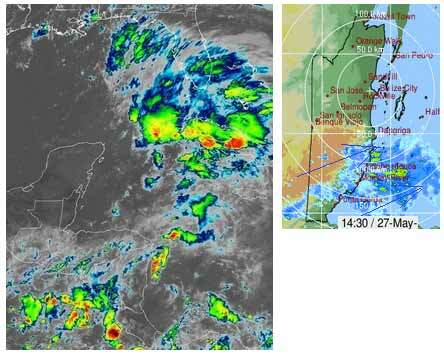 Precipitation: scattered moderate to isolated strong rainshowers cover the area that extends from 20N to 29N between 76W and 86W, from Cuba and its surrounding waters to the Bahamas, to parts of Florida and all the surrounding waters. Last edited by Marty; 05/28/18 06:10 AM. 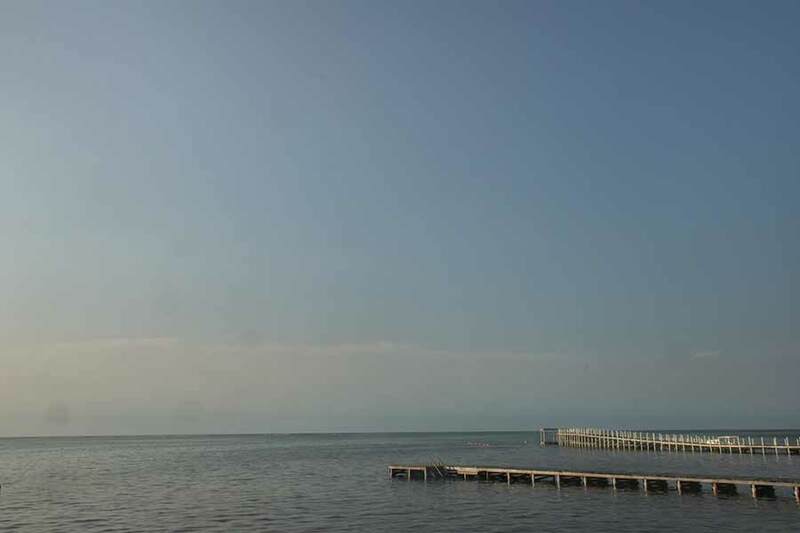 On Ambergris Caye this morning we have a flat calm sea and clear blue sky after a night of soaking rain. The weather around the area has us in a sweet spot. Today's expected high is 93f. Looks like today will be typical in the north, but very cloudy in the south, with possible more rain later. The Rainy season usually starts earlier in the south. The Cloud & rain picture. 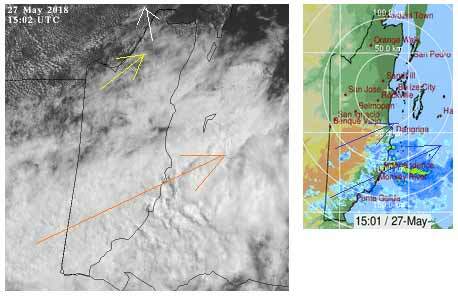 The thicker cloud cover is moving up the country, most of central Belize now under thick SW high level cloud, some now moving into the north. 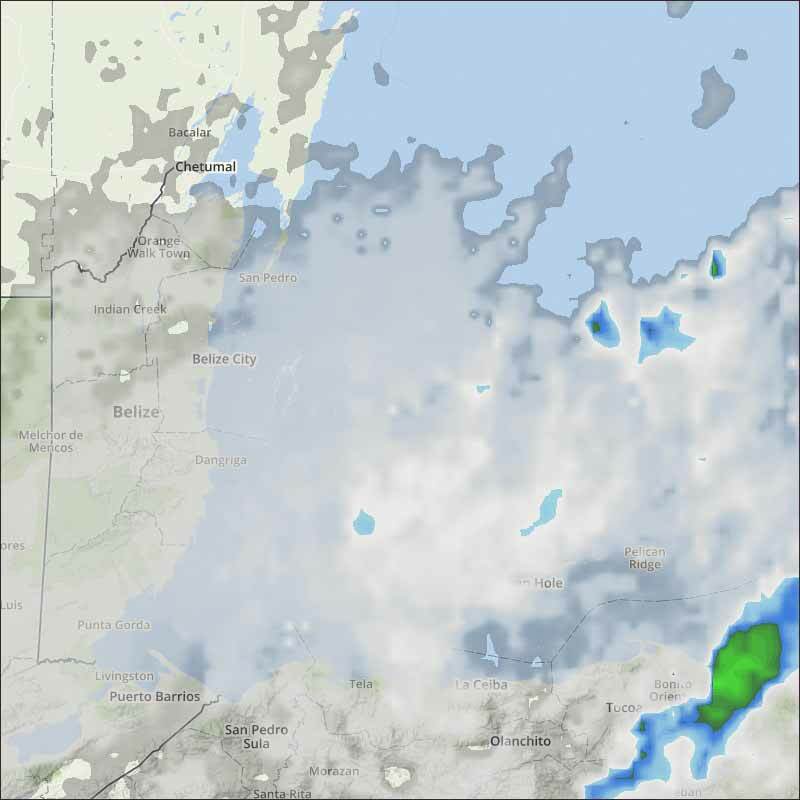 where the low cloud is moving from the south. 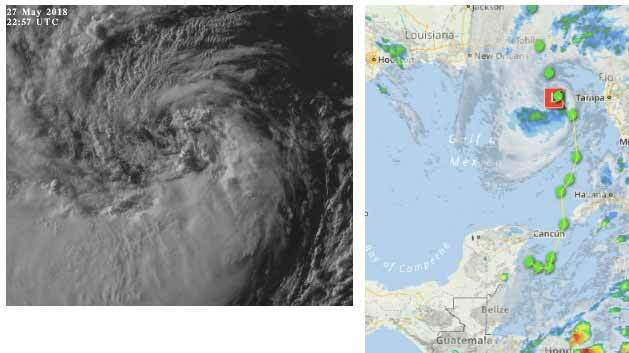 SUBTROPICAL STORM ALBERTO has now spun up into a tropical type rotating storm. Originally it was just an area where there was air movement down from the north from Texas coming over the Yucatan and another air movement, or diverted Caribbean air movement from the south, going towards Florida. This did start or cause a rotation just to the east of Belize. Those two air masses, resulted in the low pressure centre or rotation, moving northwards, together with the northwards Caribbean warm air clashing with high level air, resulted in a lot of cloud to the east of the low pressure centre. But over night it did develop, into a true rotating storm centre. Now they reckon up to 50 mph winds, and I reckon they are about right, but not on Friday, when they decided to give it a name.